There is power in the name of Jesus. He is the one who is and was and is to come. He has always been and He always will be. The word translated as Almighty is the Greek word pantōkratōr meaning all-ruling, absolute sovereign God. He is God omnipotent – all powerful, all seeing, all knowing, ever present. He is in absolute control of all the earth, and not only of the earth but the entire universe and the heavens too. Jesus is our almighty Lord. There is nothing outside of His power. There is nothing He cannot do. There is nothing that happens He does not know about. There are no barriers He will not break down to bring us back to the Father. He has absolute power. The winds and waves obey Him. We do not worship a weak helpless God who has no power – we worship the Almighty One, the One who has power to bring dead lives back to life, the One whose name can break every chain and set the captives free. When we pray that is the Lord we pray in the name of. The Lord Jesus, who is the Almighty, the One who can and will answer our prayers. It is because we pray in the name of the Almighty Jesus that we can pray with boldness, knowing that our prayers will not just be heard but will also be answered, for He has the power to do so. 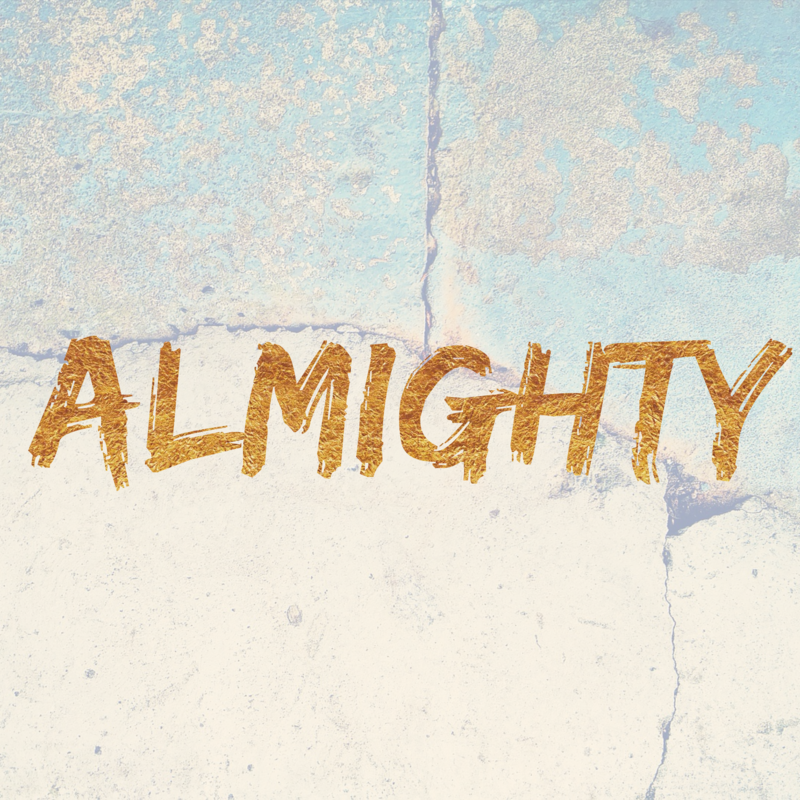 Almighty comes from the supposition of all and mighty. Jesus literally has all might.There is nothing outside of His ability to handle it. There is no problem we have that is too big for Him to handle it. There is no burden we could have that He can not carry for us. There is no concern that He can not resolve,no tear that He cannot wipe away. He is the Almighty One, the sovereign Lord who cares for us, who protects us, who carried our guilt and shame to the cross on Golgotha and dealt with it, once and for all.